Although Iceland is considered by many to be a summer destination, those who come during the winter months are in for a wonderful surprise. 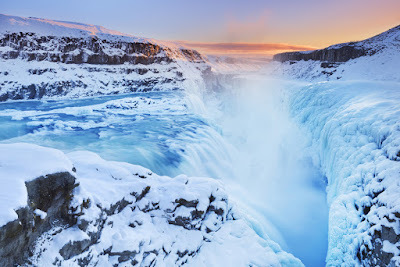 The country is magically transformed from a place of lush, green scenery with flowing waterfalls into a frozen, icy landscape that much resemble a wintery snow globe. The Midnight Sun is replaced by the dancing Aurora Borealis as frost and snow blanket the ground in December, January, and February. 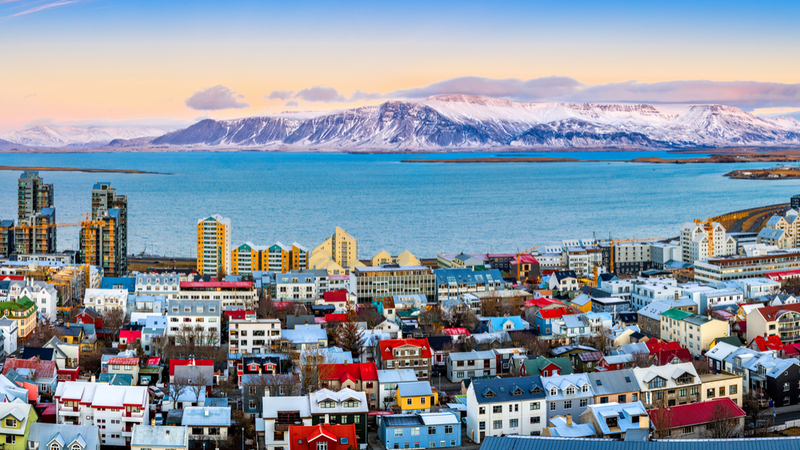 Following a 5-day winter itinerary in Iceland is the perfect way to experience a wide array of the island’s most popular attractions. Traveling in Iceland during wintertime also has the added benefits of lower prices on everything from car rental to accommodation, less traffic on the roads, and the absence of hordes of tourists all jostling for the perfect spot to take selfies. Before we dive into our 5-day itinerary for Iceland, I do feel the need to briefly mention what to pack. Iceland winter is not as extreme as the frozen tundra many people believe it to be. A good comparison would be winter in New York. It is important, however, to dress warmly and dress well. Bring thermal clothing, plenty of warm layers, a good pair of hiking boots (waterproof if possible), and a well-insulated, waterproof jacket. The days are short, and the cold can be intense. You want to be prepared for the weather, which can change at a moment's notice. Don't stay out too late though! You've got a big day ahead and want to be refreshed and ready to go in the morning. The Golden Circle is one of the most popular day trips from Reykjavik and rightfully so. During your day out exploring the 186 mi (300 km) circuit, you will get to see some of the most popular attractions in Iceland for tourists. The day starts at Thingvellir National Park, a UNESCO World Heritage Site. The most notable feature here is probably the Silfra Fissure. The Eurasian and North American tectonic plates collide in this spot, and there is a gaping tear in the ground where the Earth is actually coming apart. More adventurous travelers can go scuba diving between the plates in the summer. The park also holds a special historical significance for Iceland as it is the home of both Iceland's first parliament and in fact, the world's first parliament. The Althingi (the Icelandic government) held its first tribal meetings of the country’s most powerful chieftains here in 930 AD. The 37 mi (60 km) drive from Thingvellir to the Haukadalur geothermal area will take a little over an hour. The lunar landscape is covered with steamy hot springs and bubbling mud pools due to the volcanic activity boiling just below the surface. In this zone, you'll find the famous Strokkur and Geysir geysers. 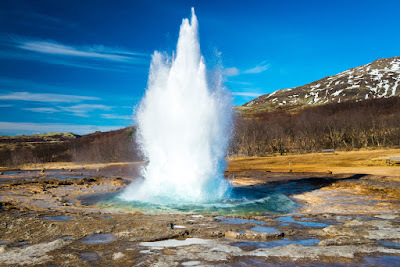 While the eruptions at Geysir are much more impressive (its spewing column of hot water shoots 230 feet or 70 meters) into the air), Strokkur’s aquatic bursts are much more reliable. They happen every 10 minutes or so and launches 66 feet (20 meters) out of the ground. Tourists visiting should know that Geysir is not really that active anymore, but you are always guaranteed a spectacular show at Strokkur. Once you've had your fill of geysers and national parks, it's time to head up the road for the last of the “Big Three” on Iceland's Golden Circle route. Gullfoss waterfall ( golden waterfall in Icelandic) has not one but two impressive drops to wow visitors. The waterfall’s second cascade falls 230 feet (70 meters) over icy cliffs into the chilly Hvítá canyon below. 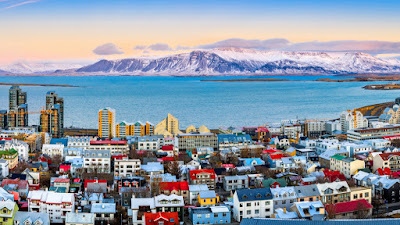 Head back to Reykjavik and have a night out on the town or stop beforehand in Stokkseyri, a cute little seaside town surrounded by the Þjórsárhraun lava field. They've got great lobster at their seafood restaurant Fjöruborðið, a favorite among locals. Be sure to try the "magical" langoustine soup; it's the restaurant's specialty and is legendary. Hveragerði Is also a popular bonus stop on the way back to Reykjavik. The town is known for its beautiful botanical gardens, lovely greenhouses, and geothermal activity. You've had quite an eventful two days and have seen so much. But believe it or not, the best is yet to come. Tomorrow we will leave the Reykjavik region and head east on the Ring Road to explore Iceland's South Coast. Sleep well and see you soon.